What Is Probate and How Can an Attorney Help? Probate is the process of administering and distributing a person’s belongings after he or she passes away. If the deceased person had a will, the probate process involves validating it and then distributing property as the will provides. 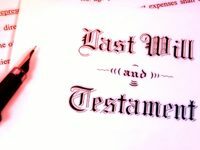 Even if the deceased person left no will or other formal estate plan, his or her assets may still go through probate. The probate process is administered by the personal representative. The personal representative may be designated by a will or otherwise appointed by the Court. Personal representatives are responsible for many important tasks including, but not limited to, (1) marshaling and inventorying the deceased party’s assets, (2) paying the deceased party’s debts, along with any applicable claims, taxes, and administrative expenses and (3) making appropriate distributions required under the will and state law. Acting as personal representative can be time consuming and complex, and a personal representative may choose to hire an attorney to provide legal advice and support. An important concept to keep in mind is the difference between formal and informal probate administration. Informal administration generally is used where a will is uncontested and is generally supervised by the county’s register in probate. By contrast, formal administration generally must be used if the will is contested. A probate judge presides over formal administration and rules on contested issues. A lawyer must represent the personal representative if the formal administration route is taken. If you have questions about the probate process, or have been named as a personal representative and are searching for answers on what to do next, it may be time to schedule a confidential consultation with the team at Bender, Levi, Larson & Associates S.C. We can work with you to evaluate your unique situation and provide step-by-step guidance from start to finish.